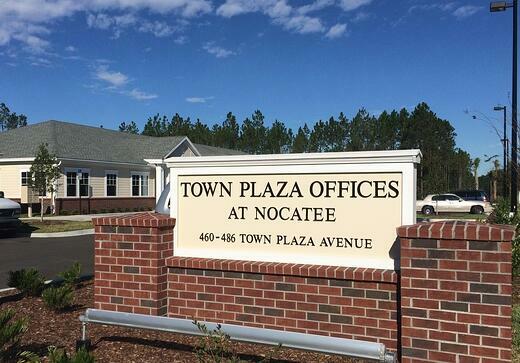 NTC Office, LLC, a venture of Silverfield Group and Morales Group, is pleased to announce the initial occupants of Town Plaza Offices at Nocatee. Planned as a four building, 30,000 square foot professional office condominium project, Town Plaza Offices at Nocatee will soon welcome a software development company, a financial advisor, a pediatric dentist and orthodontist, plastic surgery group, and a psychologist. Building 100 is slated for completion by the end of August with Building 200 following in November. Both buildings have limited remaining space available. Buildings 300 and 400 have already been designed and will be constructed to meet market demand. Brillium helps organizations understand what people know, think, feel and believe through the Brillium Software Platform, a set of customizable assessment tools and technologies; and Brillium Services, a suite of assessment development, customization and systems integration services. Brillium Software enables organizations to measure what students, employees, customers, and partners know through the development of content-rich quizzes, tests and certification exams. Brillium's survey research authoring, delivery and reporting tools allow organizations to identify the changing attitudes and perspectives of groups, organizations and markets of any size. For 15 years, Brillium’s software expertise and exemplary customer service has helped power the training, certification and partner development programs for some of the most well known brands of the Fortune 500. Edward Jones financial advisor Michael Boudreaux will focus on serving the needs of individual investors and small-business owners. Edward Jones, a Fortune 500 company, provides financial services for individual investors in the United States and, through its affiliate, in Canada. Every aspect of the firm's business, from the types of investment options offered to the location of branch offices, is designed to cater to individual investors in the communities in which they live and work. The firm's 14,000-plus financial advisors work directly with nearly 7 million clients. Edward Jones, which ranked No. 6 on FORTUNE magazine's 100 Best Companies to Work For in 2015, is headquartered in St. Louis. Drs. Lindsay Maples and Shreena Patel are dedicated to providing your children with quality dental and orthodontic care in a positive, gentle and caring environment. Drs. Maples and Patel focus on making kids feel comfortable and safe. Their advanced training in the areas of pediatric dentistry and orthodontics allows them to offer the best possible treatment options to children of all ages. Ponte Vedra Plastic Surgery will open its sixth location in Town Plaza Offices at Nocatee. Established in 1994, Ponte Vedra Plastic Surgery offers cutting edge cosmetic and reconstructive plastic surgery, surgical and non-surgical cosmetic services & aesthetician skin care services. By having a location inside the Nocatee community, its Board Certified physicians, Nurse Practitioners and Aestheticians can provide its highly reputable, premier cosmetic and reconstructive services to Nocatee patients with the added convenience of being close to home. Psych Ed Connections is a psychological and educational practice committed to integrating the best available research with clinical expertise. Owned by Dr. Abigail Levrini, leading ADHD expert and bestselling author, and operated by doctoral and master’s level clinicians, Psych Ed Connections offers a broad spectrum of services including psychological testing, coaching, psychotherapy and tutoring. For more information on business and office opportunities at Town Plaza Offices at Nocatee, contact Silverfield Group at (904) 519-9545.